(EN) In the most historic part of Florence, fashion designer Johanna Perret, one half of Perret Schaad, is revealing their latest accessory piece at Pitti Uomo 92. (EN) A highlight of this year’s event, MINI Fashion’s Beyond Native was held in the Alcatraz section of Stazione Leopolda in Florence. Launching with a capsule collection—consisting of five designs from five up-and-coming international designers—each piece is telling of the individual designer’s country of origin and where they live now. For Johanna and Tutia this meant contrasting Vietnamese materials with local German ones. A clutch bag that is one half leather, but when flipped reveals a striking parachute silk reflective of the tarpaulins used to protect fishermen and merchants in the markets of Vietnam. (EN) Once a year the fashion world meets in Florence. 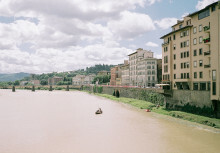 The bi-annual fair Pitti Uomo, now in its 92nd edition, has made a name for itself as the most important international event for men’s fashion. (EN) Johanna Perret presenting the travel pouch designed for MINI Fashion. (EN) “The clutch is orange—besides being my favorite color, the fabric mix of parachute silk and leather creates a unique and futuristic feeling and also aesthetic with sportive highlights.” says Patrick Mason, pictured with the bag created by Perret Schaad for the capsule launch. (EN) Familiar faces: T-Michael, whose tailoring studio in Bergen we visited together with our friend Christopher Haatuft. 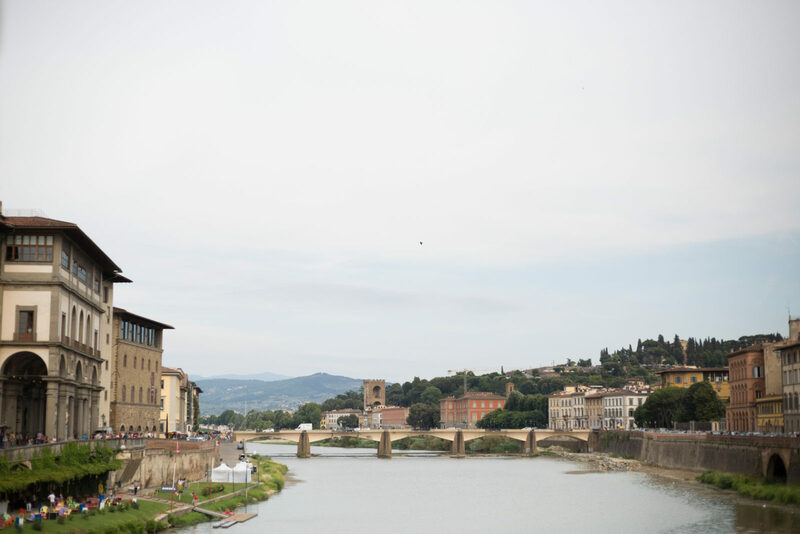 (EN) Many thanks, Johanna for entertaining us in Florence during the latest Pitti Uomo 92.